FFG is coming up on five years old and while most things have changed a great deal over the past 60 months, one thing remains the same day in and day out - the numbers game. Each morning when I wake up and every night before I go to bed I'm checking numbers. How are things on Twitter, is Instagram growing, and how about those blog stats? For a while, at the start of it all, I was obsessed with seeing things grow. It made me so happy to see that my numbers were increasing, that people were actually wanting to read what Fashion Foie Gras was putting out there. To this day, I still can't quite believe how lucky I am to call this my job. But, recently I feel as if the numbers have overshadowed the content for so much of this blogging world and that people seem to care more about numbers than they do anything else. Advertising agencies, brands, PRs and publicists all want to know your full range of numbers these days, from Twitter to the website. Content? What content? It's all about your influence. Can you cause things to trend on Twitter, can you sell out an item by writing about it on the blog, or can you cause Instagram to crash by sending a picture seen round the world in moments. It's all about the power of numbers, which is, in truth, completely justifiable. 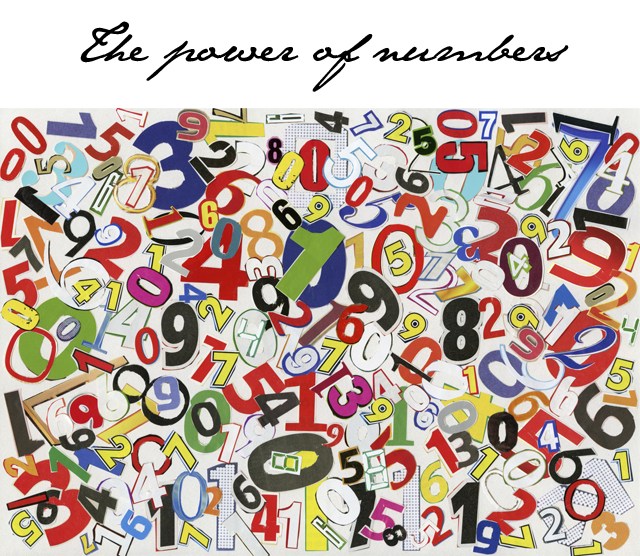 However, when did numbers take over our lives and how do we stop it from taking over completely? This is the question I'm asking daily. Last week I woke up to a massive number of new readers because of a certain site tagging FFG as a must visit. Readership was growing faster than usual and I was a happy camper and that's when it all hit me. My entire day was affected because a publication had made the decision to give a random shout out. How did this happen, not the hit bit, but my happiness scale? When did numbers take over in determining a hit or miss day? So, I've gone on number strike. I refuse to look at numbers for the month of March. It's bad enough I have the number on a scale I'm battling with every morning, I don't need another number to be in charge of how I feel at the start of everyday, and neither should you. So here's my challenge to you. I know we are all engaged in the game of numbers these days. We all casually glance at the number of Facebook friends we have, the number of people following us on our personal Twitter or Instagram accounts, or even the number that stares back at us from our bank account. This world is designed to be a numbers game, it's how human beings are compared these days. Your worth seems to come down to numbers. Well, I'm suggesting we take a break. For the rest of March, try looking at what life would be like if you weren't focused on the numbers. Put the bathroom scale in the closet, share pictures and comments on social without glancing back to see how "liked" they all were and ignore the pesky statistics on your website or blog and just post to share what you love and want other people to experience. For those out there looking to discover new talent in the blogosphere, Twitter, Instagram or Facebook arenas, take time to look at content: writing, photography and the raw emotion expressed by talented individuals. Look to support people because of their incredible ability to make you feel something, not because they can crash your website with click-throughs. I'm not sitting here from my high horse preaching this sermon with great ease. This will be no simple task for me to undertake, trust me. I'm the biggest number addict there is. But I do believe a life that is lead without measuring success in the form of numbers is one that could potentially look mighty interesting. I'm spending March looking around me and finding beauty that is not defined by numbers or by popular demand. And just to throw in another thought... Ever heard that phrase "a watched pot never boils." Who knows, that might just apply to your entire life here for the month of March. So, Who's with me?.... said as a tumbleweed rolls by the feet of my desk.